If you’re like me, music is really important to you. REALLY important. 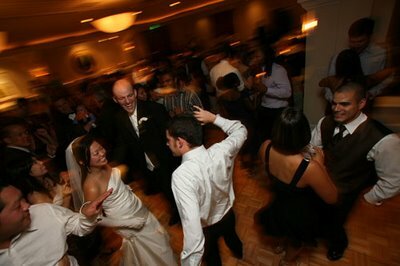 And the last thing I wanted at my Hudson Valley wedding was the same old, cheesy dance songs you hear at every wedding. You know the ones. 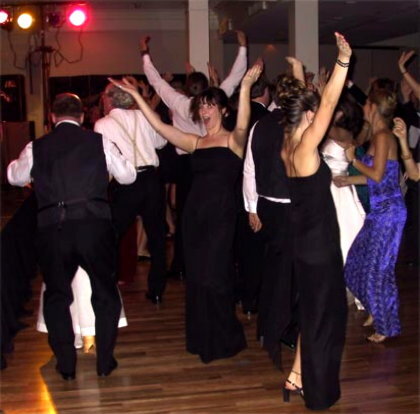 “Celebration,” “The Electric Slide,” “Old Time Rock and Roll…” Shall I go on? You think you’re sick of them? Heck, I’m a Hudson Valley wedding DJ. I hear them all the time. Jeff and I work with a lot of couples who are determined NOT to be cheesy. And oftentimes they present us with a very extensive play list and an equally impressive Do Not Play list. How do we handle it? Well, it’s your day. 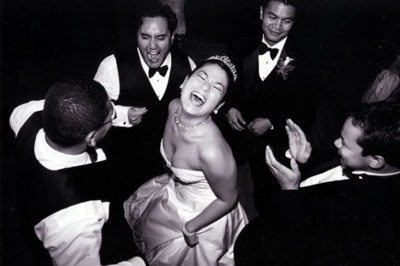 We get the privilege of partying with you on one of the most important days of your life…and we get paid for it! Bottom line: you get to hear everything you want…and nothing you don’t. But if you ask your DJ to play every song on a very long list, it will probably impact the dancing at some point. Meaning, you won’t have as much dancing. Even if you have a great list of songs, it’s tough to make your crowd bend to a list. Songs have to be mixed and a momentum has to be established. Otherwise, it creates an awkwardness that could clear the dance floor. I planned a surprise birthday party for Jeff’s 40th birthday. (He doesn’t look that old, does he? That’s my sweetie.) Anyhow, I hired a belly dancer to embarrass him. You should have seen him blush! She told me she’d do a Middle-Eastern belly dance, then play a few standard party songs for everyone to dance. I asked the belly dancer to please, please NOT play any songs, “like the Chicken Dance, YMCA or Celebration.” I figured she knew what I meant. Unfortunately, I forgot to ask her NOT to play the Electric Slide. That’s how I ended up doing the Electric Slide in my living room. Lesson #1: BE SPECIFIC about what you mean by “cheesy” songs. Lesson #2: If you end up forgetting to list one of those “cheesy” songs and you end up cutting a rug with a belly dancer in your living room, it’s not that bad. Really. You’ll even laugh at the photos…after many years have passed.